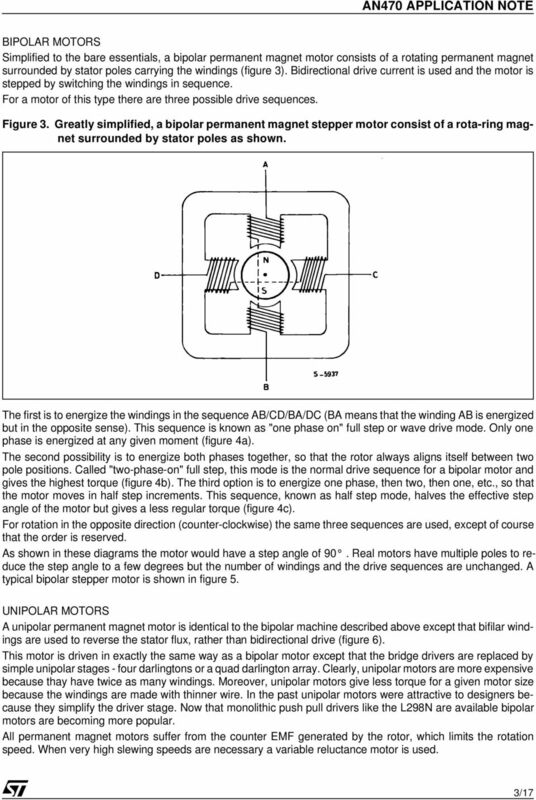 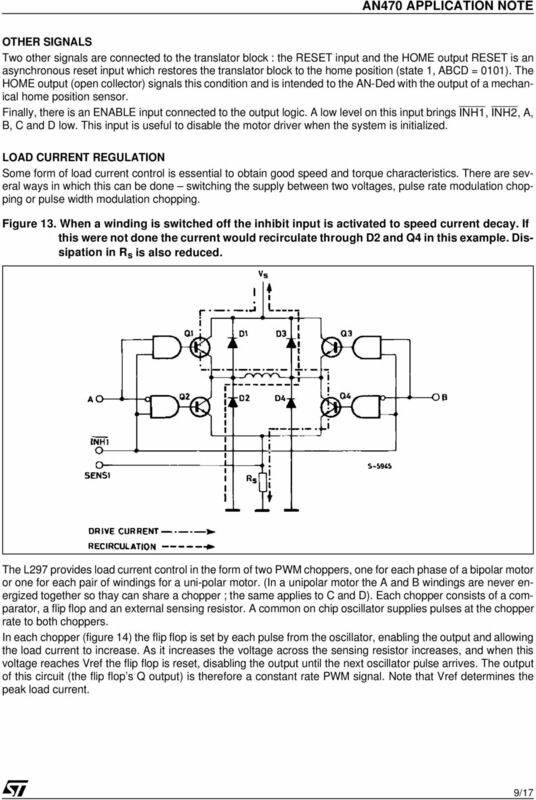 A stepper motor is a unique type of DC motor that rotates in fixed steps of a certain number of degrees. 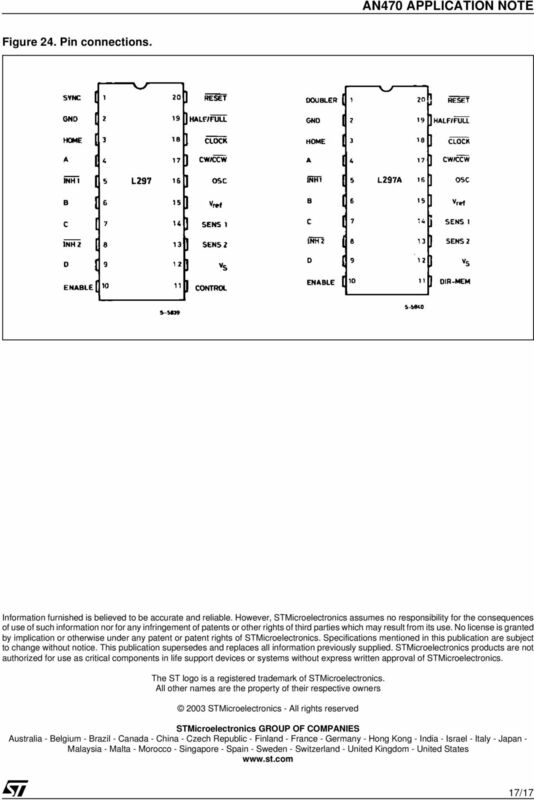 Step size can range from 0.9 to 90. 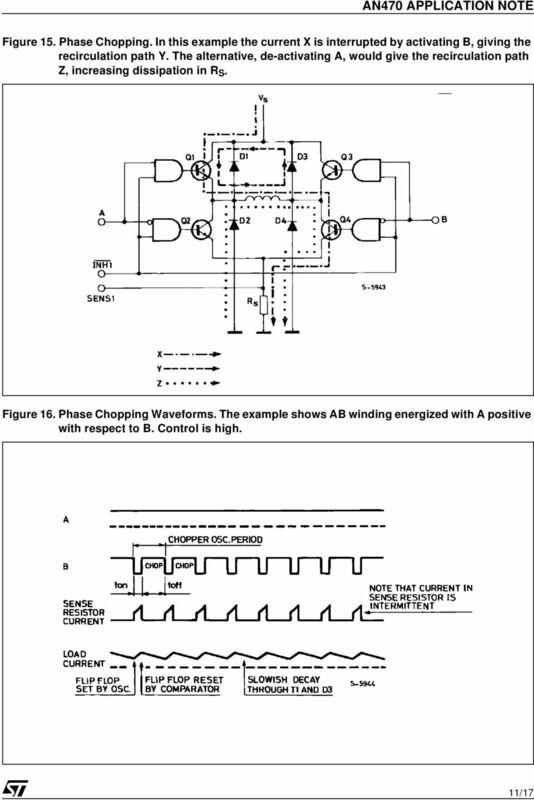 AN820 APPLICATION NOTE INPUT/OUTPUT PROTECTION FOR AUTOMOTIE COMPUTER INTRODUCTION In cars, the number of functions carried out by electronic components has greatly increased during the last 10 years. 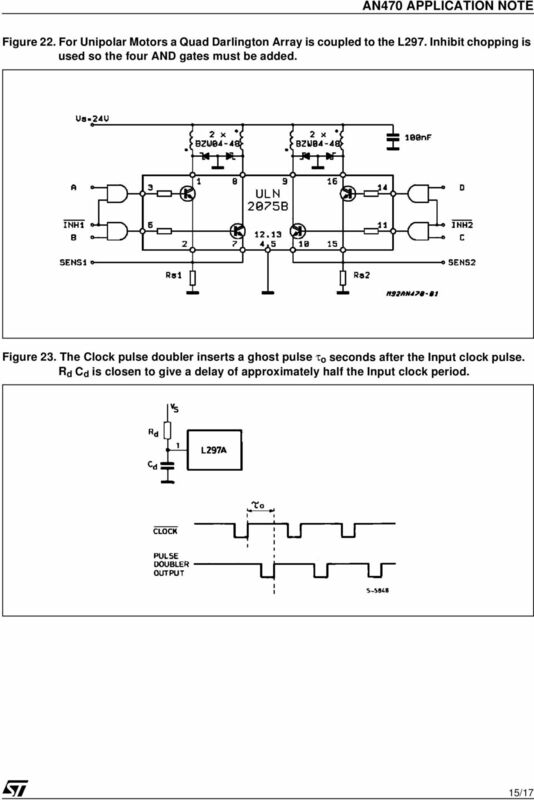 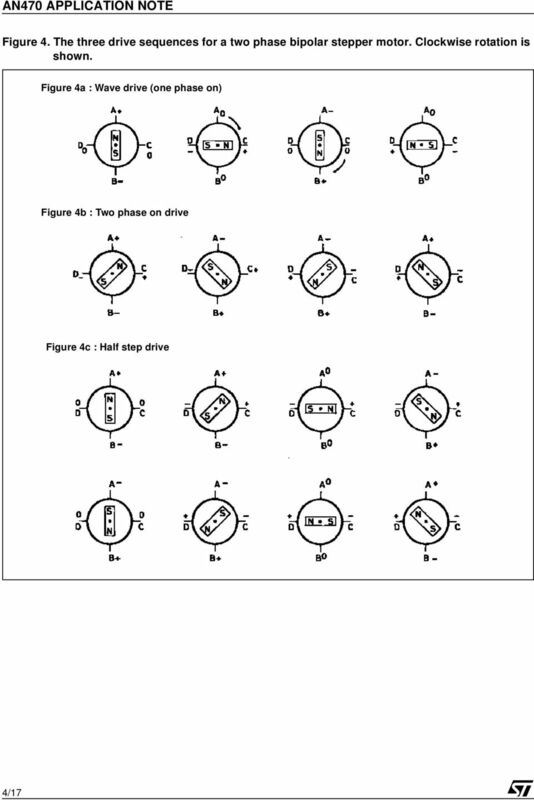 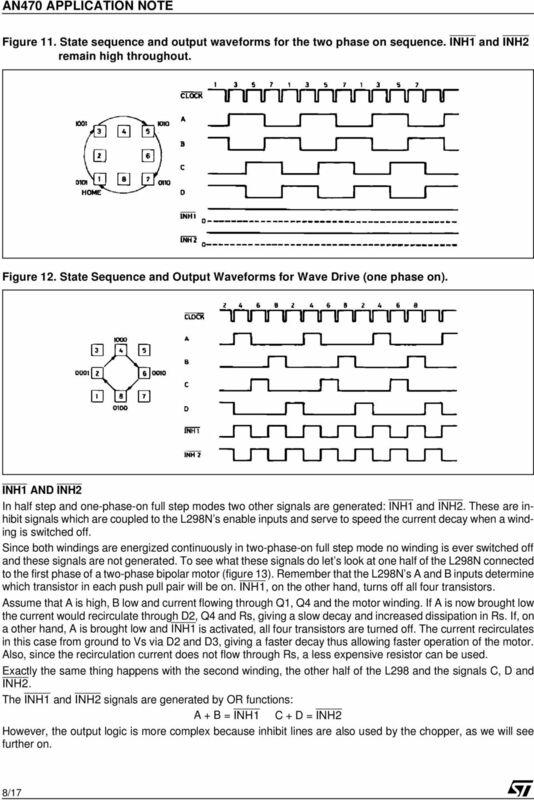 DRIVE CIRCUITS FOR POWER MOSFETs AND IGBTs by B. Maurice, L. Wuidart 1. 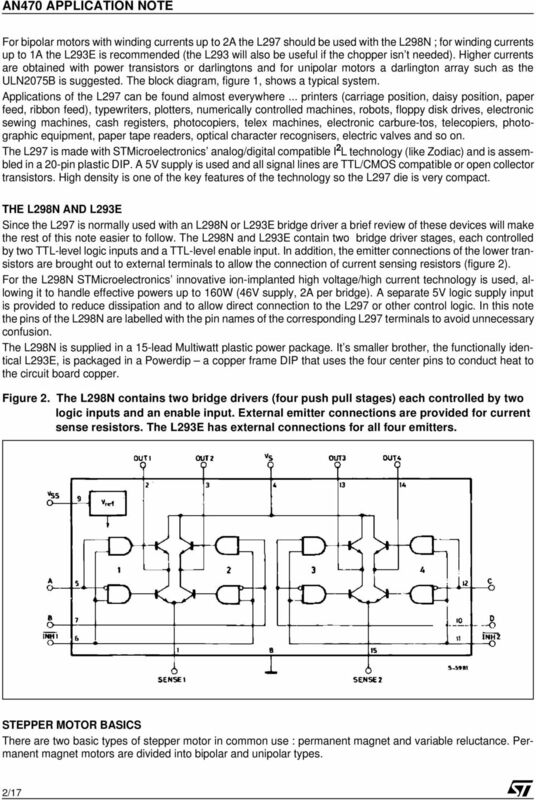 INTRODUCTION Unlike the bipolar transistor, which is current driven, Power MOSFETs, with their insulated gates, are voltage driven. 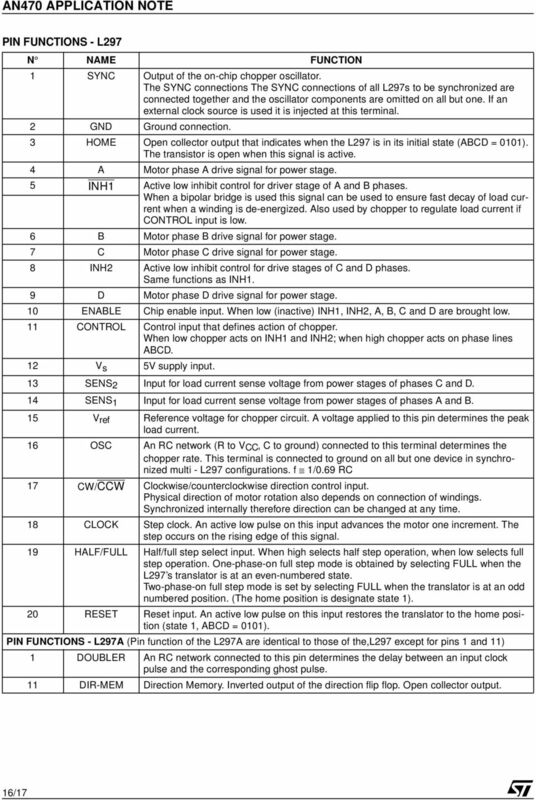 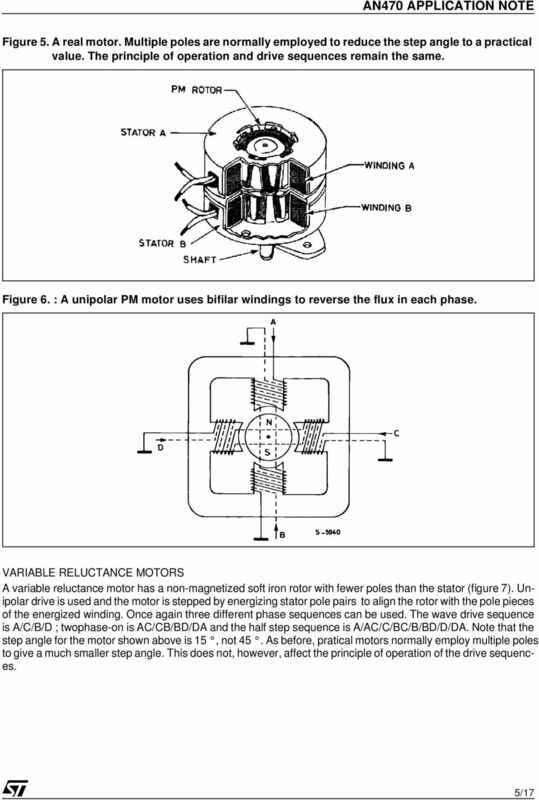 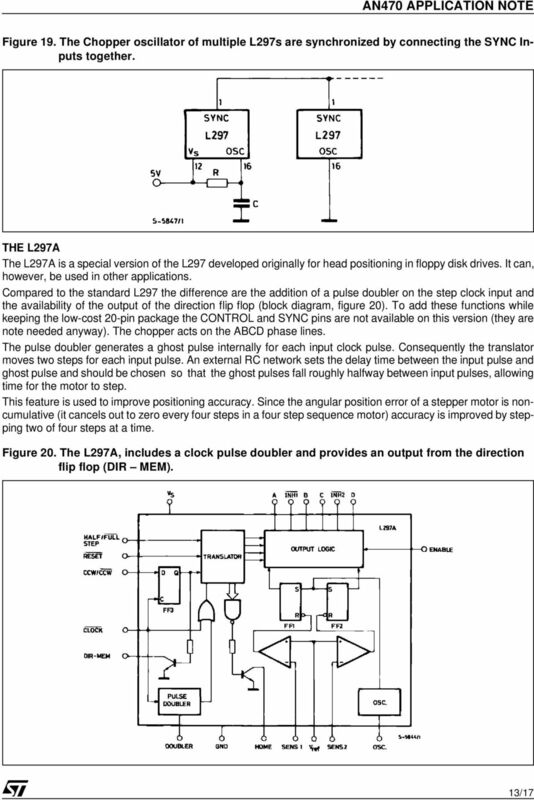 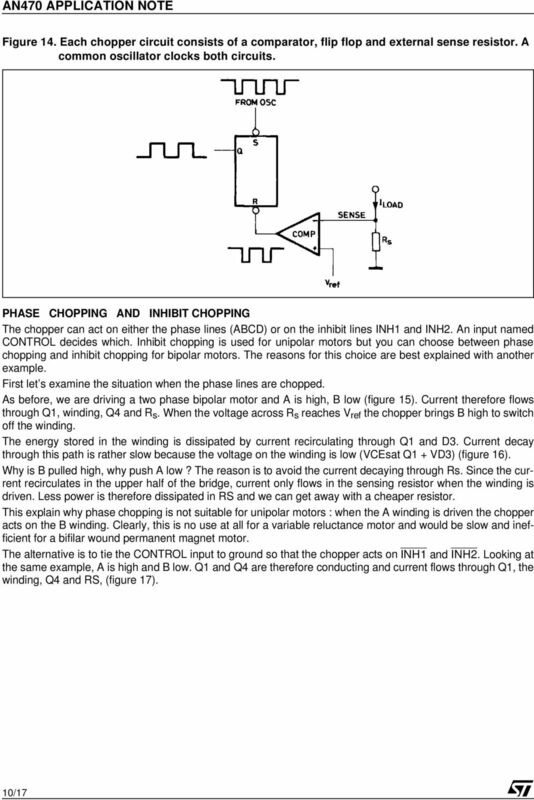 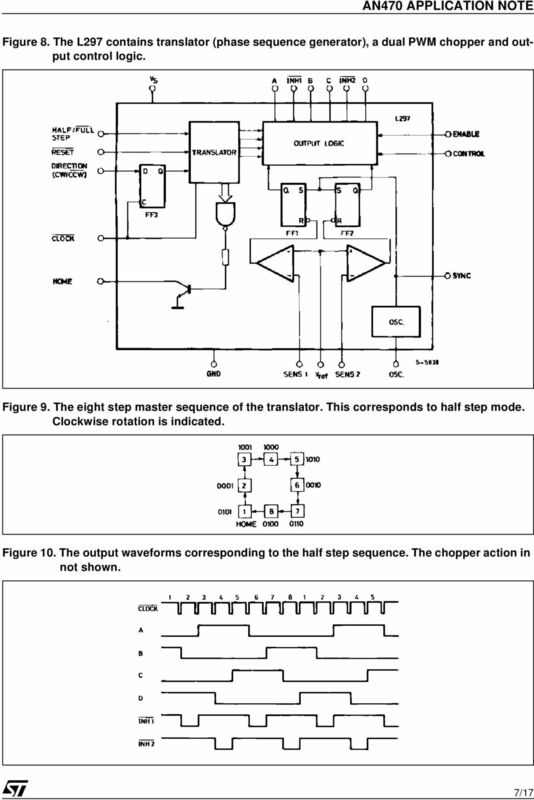 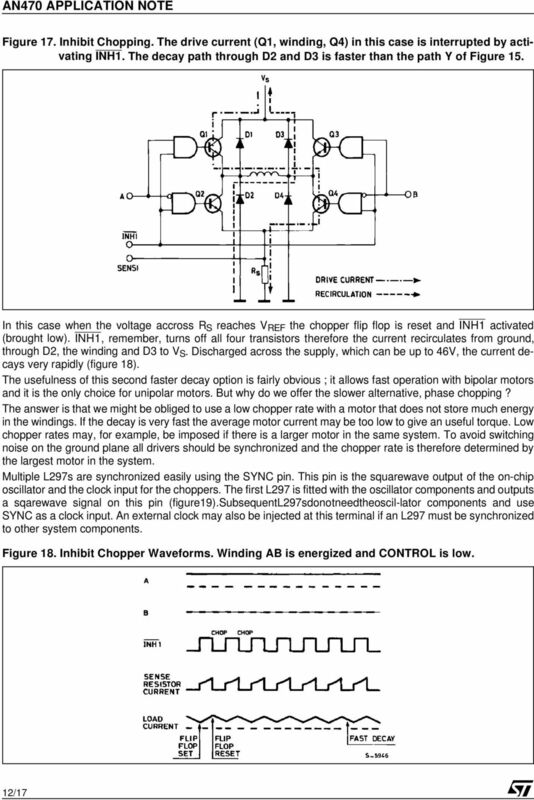 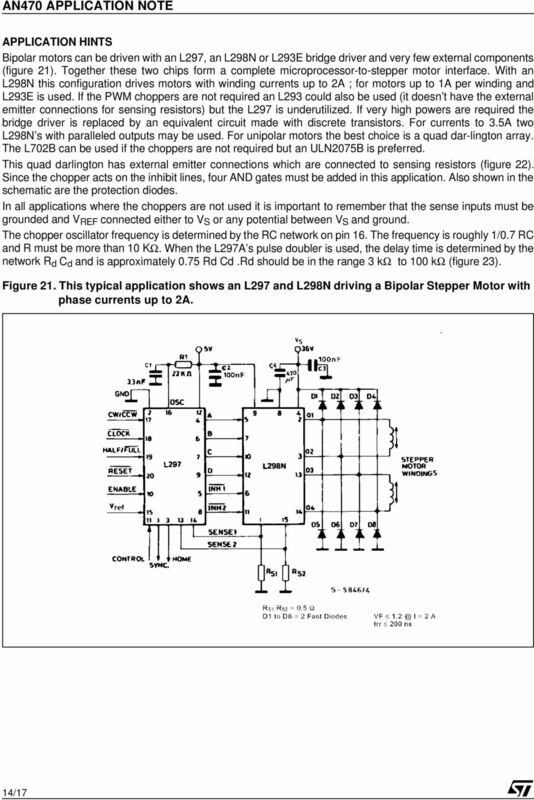 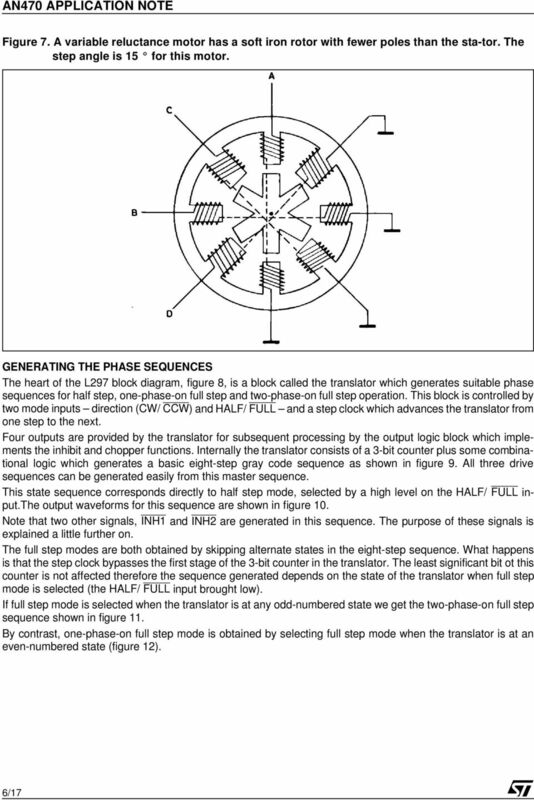 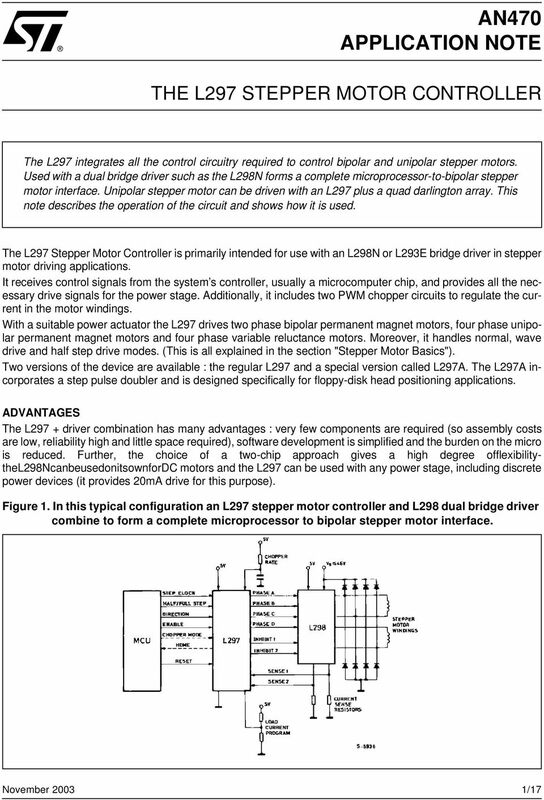 AN3327 Application note L9942 back EMF stall detection algorithm Introduction The L9942 is an integrated stepper motor driver for bipolar stepper motors used primarily in automotive head lamp leveling.